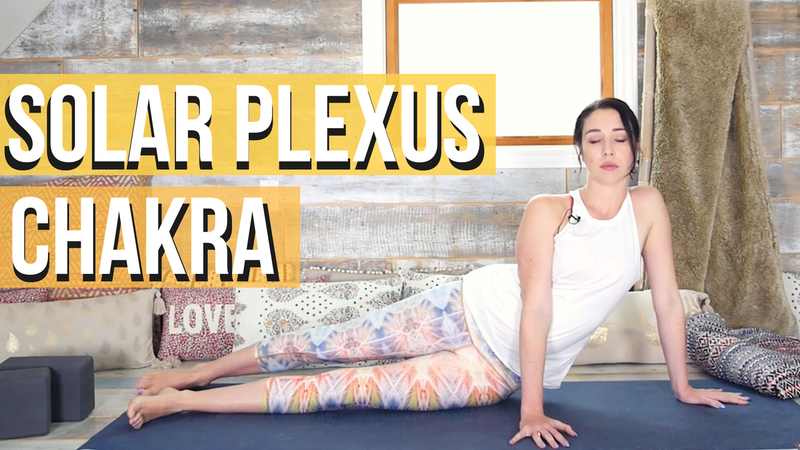 Hey yogis, I'm continuing my Yin Yoga Chakra Series with a Solar Plexus Chakra Yin Yoga class! The solar plexus chakra is all about confidence, self-esteem, self-worth and desirability. The intention behind this sequence is to help you find balance between confidence and humility. If you've done my chakra classes before you know that I like to use affirmations to help you highlight any areas that may be wounded or need some work. While in the pose, simply listen to the affirmation and repeat it back a few times to see how it makes you feel. Hope you enjoy the class! ✔ GET A FREE AUDIOBOOK - http://bit.ly/audibleywk ❤ Your donations help me improve my channel and the quality of my videos, thank you! http://bit.ly/ywkdonate Yoga with Kassandra - Disclaimer Please consult with your physician before beginning any exercise program. By participating in this exercise or exercise program, you agree that you do so at your own risk, are voluntarily participating in these activities, assume all risk of injury to yourself, and agree to release and discharge Yoga with Kassandra from any and all claims or causes of action, known or unknown, arising out of Yoga with Kassandra’s negligence.